Hacked websites are not only a major security issue for any sensitive data you have on your server, it’s a free ride to the bottom of the rankings in Google. Lately, we’ve had to help several companies who fell victim to hackers inserting malicious code and/or spam advertising into their website, destroying their local/national SEO campaigns. The following reposted article from Google helps explain the basic elements necessary to keeping your website secure and safe from malicious intruders. These will help keep your SEO campaign investment secure and your visibility high. 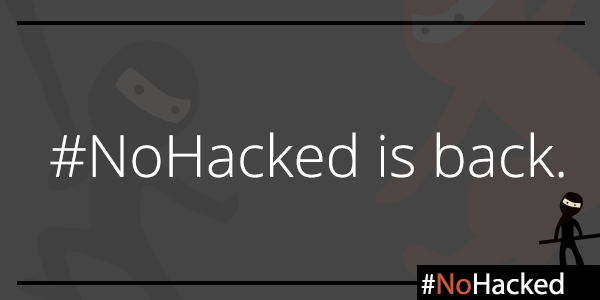 Today, we’ll be continuing our #NoHacked campaign. We’ll be focusing on how to protect your site from hacking and give you better insight into how some of these hacking campaigns work. You can follow along with #NoHacked on Twitter and Google+. We’ll also be wrapping up with a Google Hangout focused on security where you can ask our security experts questions. One of the most common ways for a hacker to compromise your site is through insecure software on your site. Be sure to periodically check your site for any outdated software, especially updates that patch security holes. If you use a web server like Apache, nginx or commercial web server software, make sure you keep your web server software patched. If you use a Content Management System (CMS) or any plug-ins or add-ons on your site, make sure to keep these tools updated with new releases. Also, sign up to the security announcement lists for your web server software and your CMS if you use one. Consider completely removing any add-ons or software that you don’t need on your website — aside from creating possible risks, they also might slow down the performance of your site. If you control your own server or use Virtual Private Server (VPS) services, make sure that you’re prepared to handle any security issues that might arise. Server administration is very complex, and one of the core tasks of a server administrator is making sure your web server and content management software is patched and up to date. If you don’t have a compelling reason to do your own server administration, you might find it well worth your while to see if your hosting provider offers a managed services option. [site:example.com cheap software] to alert you if any hacked content about cheap software suddenly starts appearing on your site. You can set up multiple alerts for your site for different spammy terms. If you’re unsure what spammy terms to use, you can use Google to search for common spammy terms.